Perhaps capturing the very essence of Norwegian culture, Peer Gynt is a Norwegian play that brings together two of Norway's most famous cultural icons, playwright Henrik Ibsen and composer Edvard Grieg. On a recent research trip to Lillehammer for Moon Norway, I met up for a chat with Hanne Maren Kristensen from the Peer Gynt festival. She was kind enough to answer some questions about the festival and the history of the play. Peer Gynt the stories and the tale are about a guy in his early 20s. He was an outcast in his society and the village people tease him for being different. The play revolves around him wanting to be someone he's not. His entire life is based on chasing a dream he heard of in a tale, so although the play is based in reality, his adventures move along into the realm of troll-filled fairytales. It was written by Ibsen and he wrote it as a kind of critique to the Norwegian way of being in the 1860s. People were partying out in the farms, acting crazy and he didn't really like that. This was his way of saying you shouldn't be like Peer Gynt, you should stay true and honest and not fantasise and run around drinking and partying. That's one of the bigger themes that Peer Gynt is based on, who are you and what is it to be your true self. There are a lot of great dilemmas under these fairytales. Two of Norway’s most famous cultural icons worked on Peer Gynt. How did their relationship work? Henrik Ibsen travelled from Oslo through the Gudbrandsdalen valley to the west of Norway and back again. He heard the tales of Peer Gynt in the Gudbrandsdalen valley and found this culture and the nature that he was inspired by. When he got back to Oslo, he wrote to his publisher in Denmark in 1862 and told them that the tale of Peer Gynt is based on a real person up in the area around Vinstra, where the festival is based today. He travelled abroad and wrote the play firstly as a long poem, finishing it in 1867 In Italy. If you were to perform the entire poem it would take about seven hours, whereas the play version takes about three hours. He was challenged to convert it into a stage play, but didn't really believe it was possible or relevant. 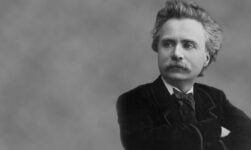 He went ahead though and sent Grieg a letter asking him to write the music. The important thing for him was that the music should be inspired by the same culture that Ibsen was inspired by, so Grieg travelled up to the Jotunheimen mountains where he immersed himself into this traditional Norwegian culture as well. He said to Ibsen in a letter (it took two years for Grieg to finish he music) that he hated the music and he hoped the irony of the music would be felt. The music was written as a critique of the Norwegian way of being in the same way as Ibsen wrote the play, so it wasn't meant as entertainment or as enjoyment, but a pure critique. Yet it turned out to be one of the world’s most famous musical pieces! 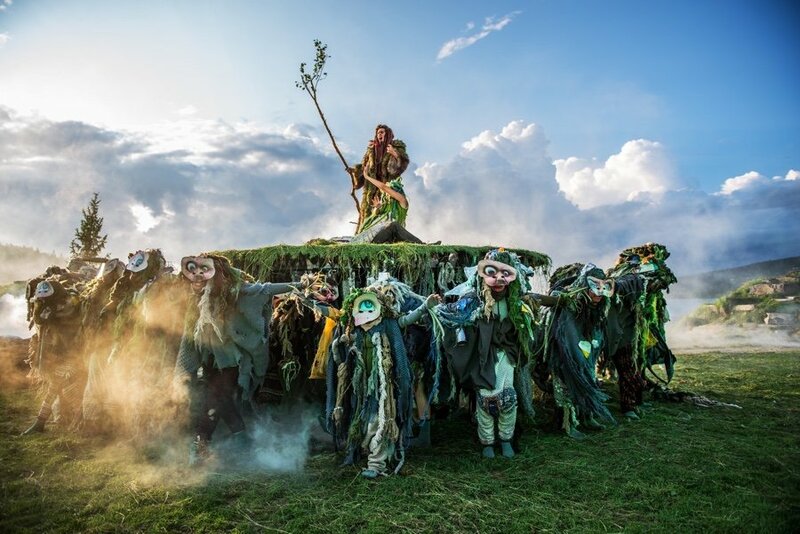 Tell us about the Peer Gynt festival and its origins? Since we have these local tales, the people in Vinstra have always loved these stories. Some of these enthusiastic people staged the first Peer Gynt festival in 1927. The next one was in 1936 and since 1967, there has been an annual festival, so there is a long tradition based on local enthusiasm and volunteers. 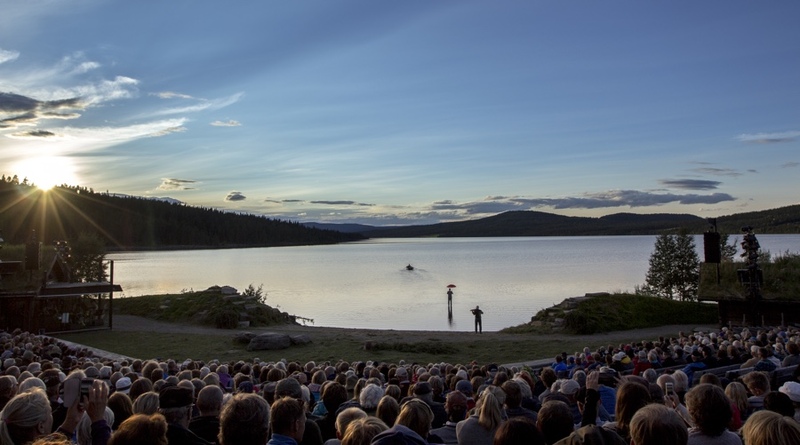 In 1989 they staged the performance up at Lake Gålåvatnet and every year since then the theatre has been up there. It’s one of the longest running theatre shows in Norway! 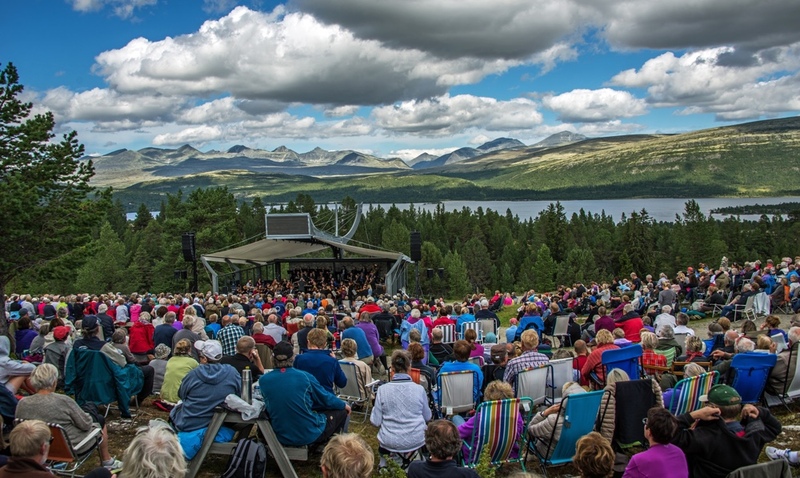 The main event is the theatre production, but theres also the mountain concert overlooking the Rondane mountains. There’s a church concert with more classical music and a lot of smaller events featuring literature, seminars for people within the theatre business and so on. The theatre production can be enjoyed by the whole family but it doesn't finish until 11 in the evening! We do have a day aimed at kids, and we’re trying to evolve the festival area up at Lake Gålåvatnet into something a bit bigger and focus our events there because of the spectacular amphitheatre we have there. The main thing that tourists do is driving in and around Peer Gynt’s kingdom, the entire region around the festival. We have the Peer Gynt road (open during the summer) from Skeikampen to Gålå, which is one of the most beautiful gravel mountain roads in Norway. At one point before Gålå there is the Ronda mountains on your right and the Jotunheimen mountains on your left so it’s a really spectacular scenery. 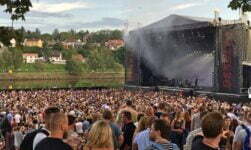 Its not too far to drive to Sjoa where there is white water rafting, and Lillehammer is not that far away either. Lillehammer could make a good base, but there’s so many nice mountain hotels too. What’s your role with the festival? Five of us work all year round in Vinstra, plus a lot of artistic and production teams.I was lucky to get a trainee position after my bachelors degree in cultural project management here in Lillehammer. I mainly work with international sales and finding possibilities for global cooperations. Is there much international interest in Peer Gynt? When I first started out there wasn't much international knowledge about the festival because it hadn't been pushed outside of Norway. In Germany, Peer Gynt is an important part of theatre culture, and is one of the things Germans think about when they think of Norway, through a combination of the music, theatre and the poem. So we have made more of an effort translating our webpages and programmes into English and German to try and bring fans of Peer Gynt to Gudbrandsdalen to experience the culture behind the play. The traditions, tale, music and dance of the region is something truly unique. 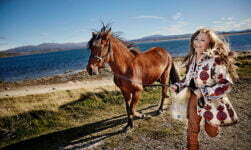 We see cultural tourism growing and there is so much Norwegian culture that we haven't exploited internationally yet. What’s it like living in Lillehammer? Lillehammer is great! There’s a lot of cultural and sporting events and the city has everything you need. There are Norwegians that are not that fond of skiing and I am one of them! I do go skiing to the cabins up in Peer Gynt’s kingdom, but I prefer ice skating on Lake Mjøsa. You can skate out 2.5km and back again. Volunteers keep the track open on the frozen water all winter. In one sentence, why should my readers come to the Peer Gynt festival? Peer Gynt festival is a one of a kind experience of Norwegian history, traditions and nature collided into one spectacular event. The theatre show is worth the trip on it’s own. Thanks so much to Hanne for her time. 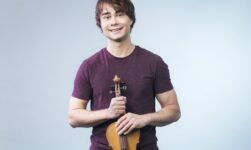 This year's Peer Gynt festival takes place in August 2018. For more information and tickets (which must be booked in advance!) see peergynt.no.